Never heard of putting cinnamon on chocolate. Will have to try that! I’m not allergic to cinnamon–only nutmeg. HA! Excited to try this chocolate! Are you coming to FABlogCon this year? Hope you can! I’m thinking of trying a different conference this year. Haven’t decided quite yet though. We love chocolate! Pick us please! I’ve only met one person who told me she hates chocolate. Seemed so strange to me. Who hates chocolate? I’m a chocoholic! And I’m glad I found your blog! I couldn’t imagine winning these chocolates. I just found Amanda and my son got an easter bunny for the first time in his life. He is 8. We are allergic or sensitive to so many things in our house that finding chocolate bars/candy is just hard! But we can’t live without chocolate that would be a sad sad life. Theresa, So happy your son was able to eat Easter candy this year. I have older kids, but one is allergic to dairy/egg and one has celiac disease. I am so happy Amanda’s is available, too! Best to you and your son. Love Amanda’s Own chocolate! Happy Birthday to you and your son!! I am so excited about this! I am a choco-holic but also have TONS of food allergies, including wheat, soy, tree nuts, peanuts, and dairy. It is nearly impossible to find safe chocolate to eat and I am eager to give this a try! The sunflower cups are the only ones that aren’t free of the top 8 allergens; all the rest are! And everything I’ve tried have been so yummy. Not like the “other” brands I’ve tried. Thank you for doing this! I have missed chocolate terribly since I was diagnosed with a soy allergy 3 years ago. It seems harder than ever to find #soyfree chocolate. Thank you for feeding my obsession! 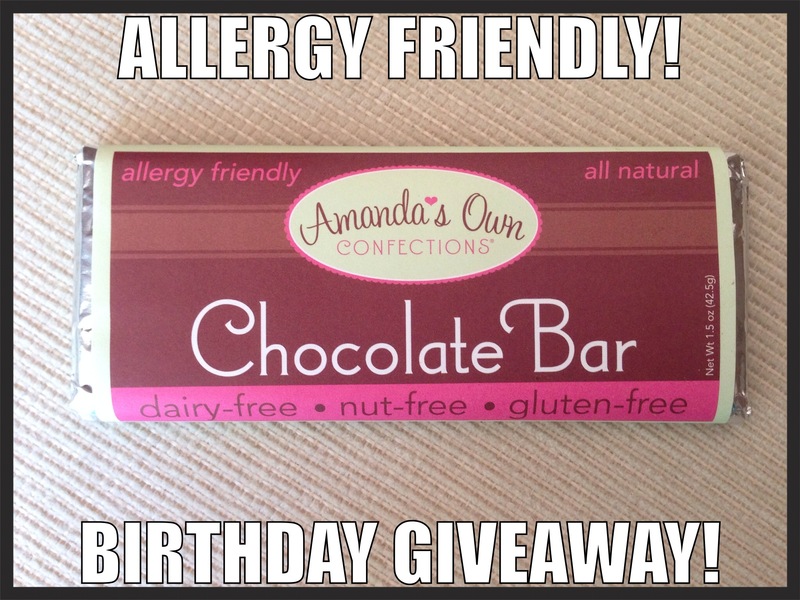 I LOVE chocolate and all that you do for the food allergy community in raising awareness!